Pathological Anatomy: Miquel Vilafranca Compte (Histovet. Barcelona). Exotic Animals: Jaume Martorell Monserrat (Universidad Autónoma de Barcelona). Soft Tissue Surgery: Esteban Pujol Luna (Clinica Canis. Mallorca). Internal Medicine: Loli Tabar Rodríguez (Hospital San Vicente del Raspeig). Feline Medicine: Albert Lloret Roca (Universidad Autónoma de Barcelona). Neurology: Elsa Beltran Catalan (Royal Veterinary College. University of London). Ophtalmology: Marta Leiva Repiso (Universidad Autónoma de Barcelona). Traumatology: Pilar Lafuente Baigorri (Royal Veterinary College. University of London). Anaesthesia: Luis Campoy (Cornell University. United States of America). 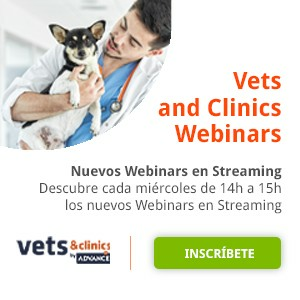 Cardiology: Virginia Luis Fuentes (Royal Veterinary College. University of London). Surgery: Ana Marques (University of Edinburgh. Scotland). Dermatology: Lluis Ferrer Caubet (Tufts University. United States of America). Exotic Animals: Elissabetta Mancinelli (Bath Veterinary Referrals. England). Internal Medicine: Mike Herratge (University of Cambridge. England). Neurology: Laurent Garosi (Davies Veterinary Specialists. England). Oncology: Guillermo Couto (Consultant in Oncology. Metzger Animal Hospital. United States of America). Traumatology: Alberto Ginés Zarza (North Carolina State University. United States of America).